Is this item suitable for wet/exposed applications? The general answer is yes, but of course it depends on exactly what you're talking about. Our logging customers out here in the Pacific Northwest use this cable in wet conditions, both rain and snow, all year long. Any cable like this should be lubricated from time to time, which helps the cable strands bend and flex together, as well as inhibit rust. 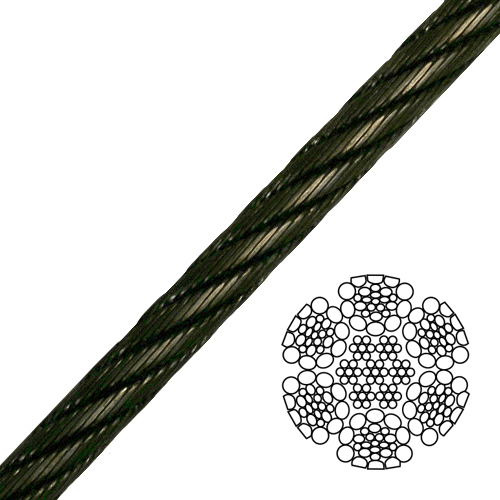 We would not recommend this cable for a permanently submerged application, nor for consistent use in a marine environment (salt water will eventually have its way, this cable is not galvanized or stainless).